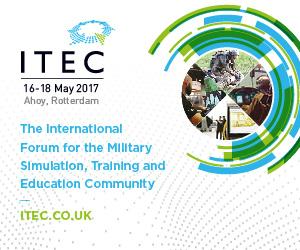 Once again, BULSIM will support ITEC 2017, taking place at Ahoy Rotterdam from 16-18 May. The conference will address the theme “Innovation through collaboration in military training and education: Focusing efforts, harvesting success“ and will consist of three main streams: M&S Technologies and Architectures, Training and Education – Requirements to Solutions and Dual Use Training Applications. View the full conference agenda here. BULSIM members can benefit from a 10% discount on the pass price! 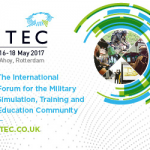 What’s new at ITEC 17? Live Demonstration Area – ITEC 2017 will create a live training scenario which will highlight various companies products and services in an interactive demonstration. Advanced Engineering Stream – In collaboration with The Centre for Modelling and Simulation, ITEC will deliver a platform for leading model based system engineering companies to promote their latest capabilities to a wide audience of decision makers. Find out more here. The F-35 Conference: This year’s F-35 Conference will offer an exclusive platform for senior military leaders from across the globe to discuss training and technological requirements with the aerospace simulation and training community to successfully integrate this advanced airframe into their Armed Forces. More information at www.f35conference.co.uk. Българската асоциация по моделиране и симулации – БУЛСИМ е организация с нестопанска цел в обществена полза, посветена на популяризирането на Моделирането&Симулациите в България, Европа и по света. ул. "Борис Рангелов" №30 / ул. "Детелина"